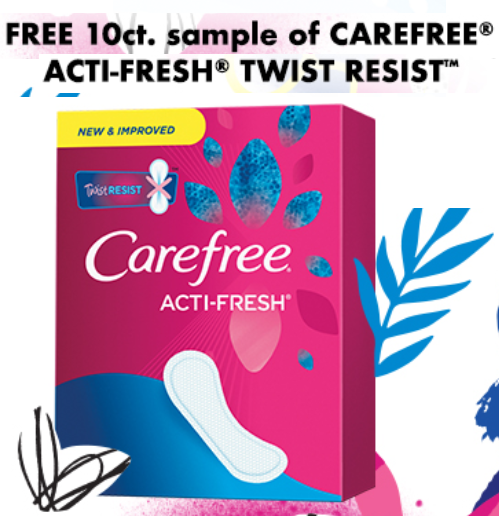 There is a 10 count free sample of the new Carefree Acti-Fresh Twist Resist Liners! Simply take the short survey to see if you qualify. 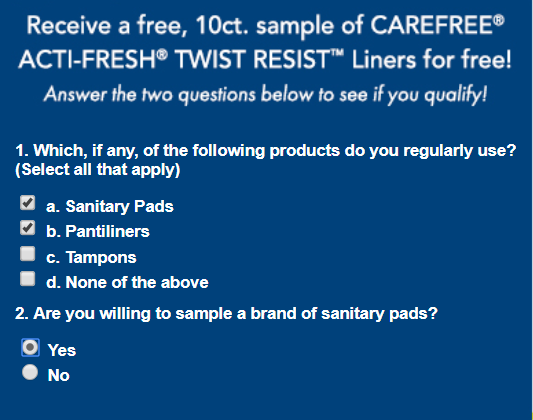 If you qualify for the sample it will arrive in 6 to 8 weeks.